Jerri here to kick off Technique Junkies 30 Days of Christmas. That's right, check in daily at the Technique Junkies Design Blog for 30 days of inspiration, from now through November 12th. I am in LOVE with the new stamp called Wood. I used it twice on this card. First I stamped Wood on a piece of cardstock in green. 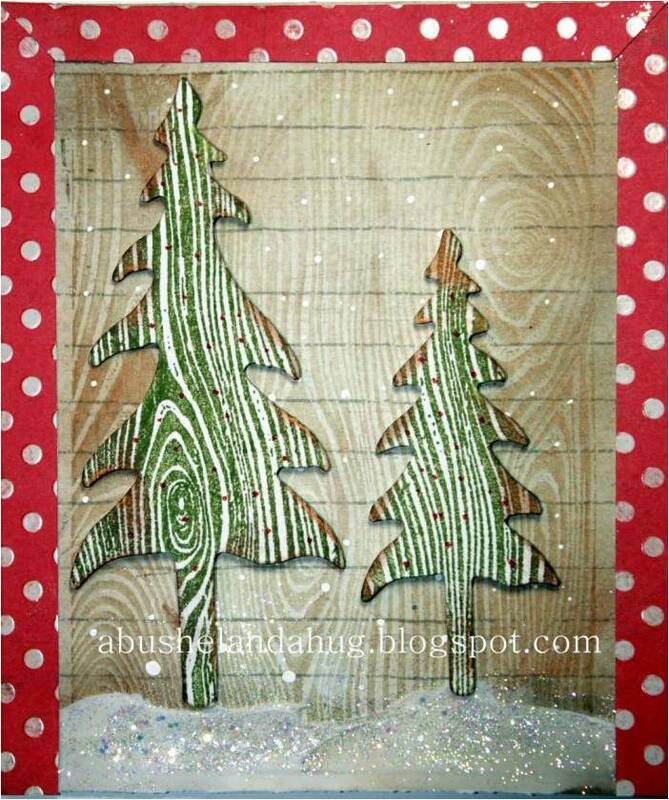 Once stamped, I cut the stamped image into tree shapes. I used a Sizzix die but of course you could use any die cutting machine. Once I had the tree shapes cut out, I rubbed some brown on the edges to add some interest and give them the rustic feel I was going for. Using the same Wood stamp, I stamped the background in brown on a piece of lined cardstock. I used texture paste along the bottom to create snow. Before the paste dried, I applied some glitter to give the card some sparkle. 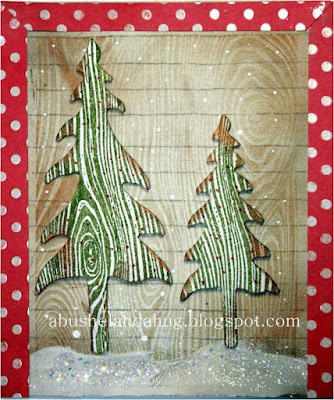 Once the snow was dry, I cut out a border in red polka dot and glued it to the edges of the card. The trees were then added using pop dots. I hope you enjoyed my card. Have a wonderful rest of your week.